DAVID LE/Staff photo. 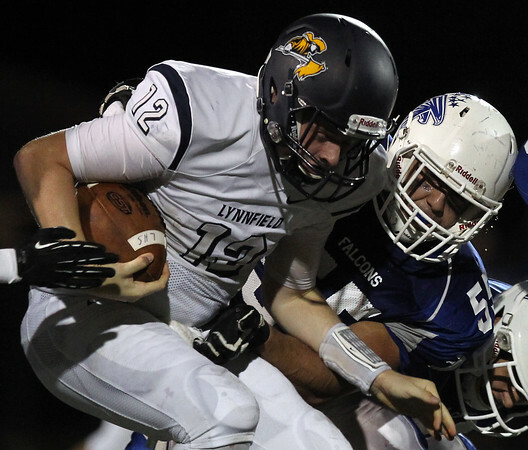 Danvers defensive lineman Marco Lagambina (55) meets Lynnfield quarterback Jake McHugh on a QB draw. 9/19/15.